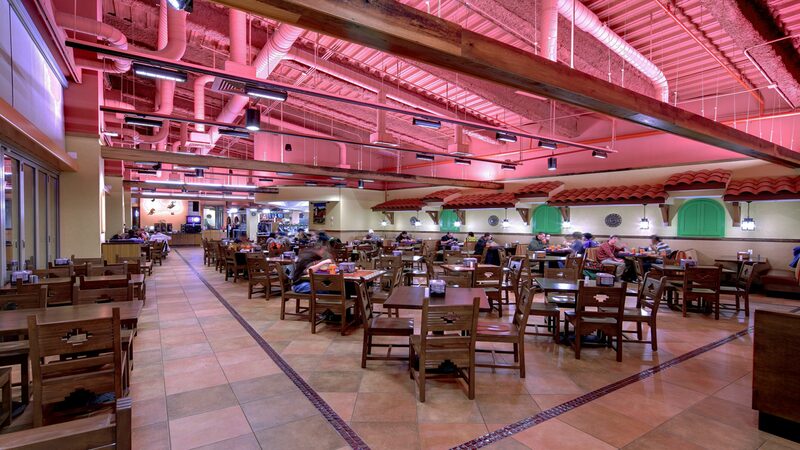 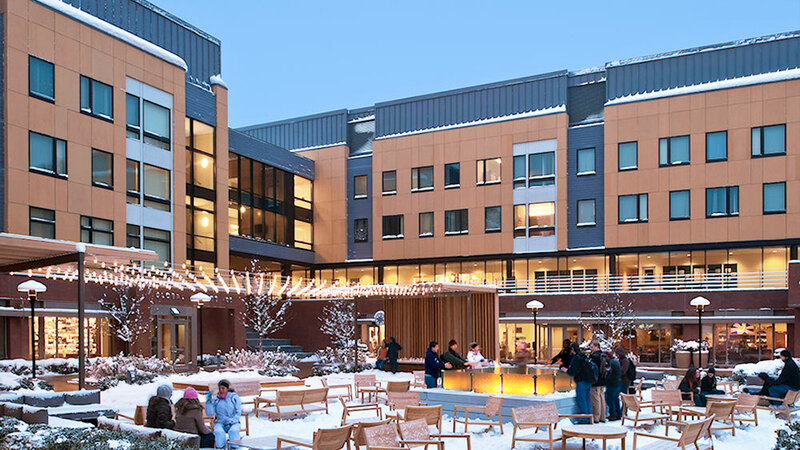 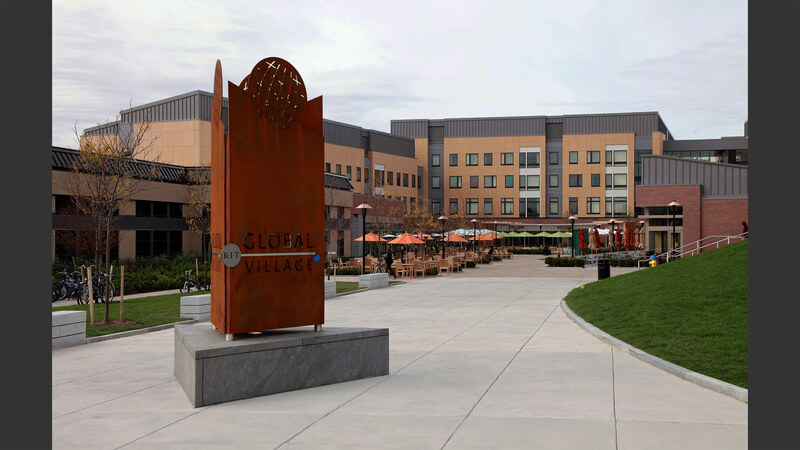 An internationally inspired, sustainable residential community provides students with a global living experience. 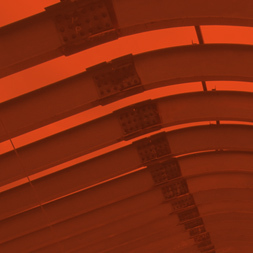 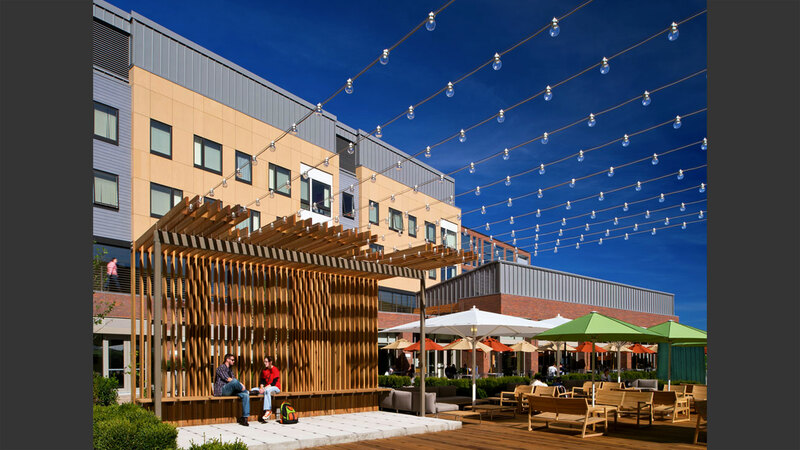 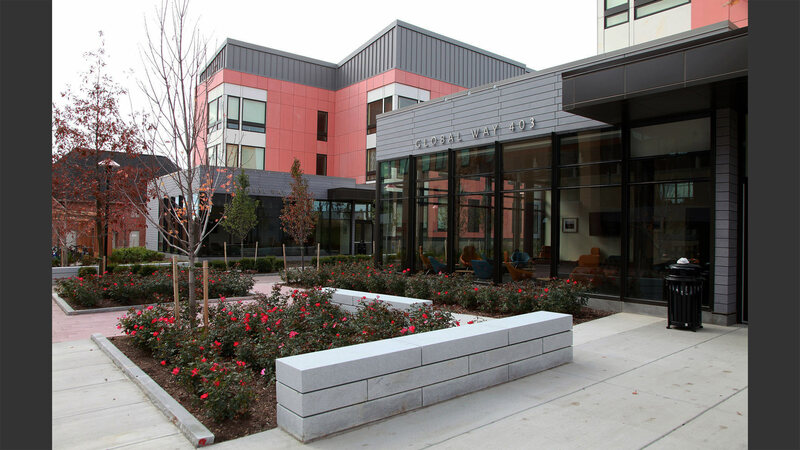 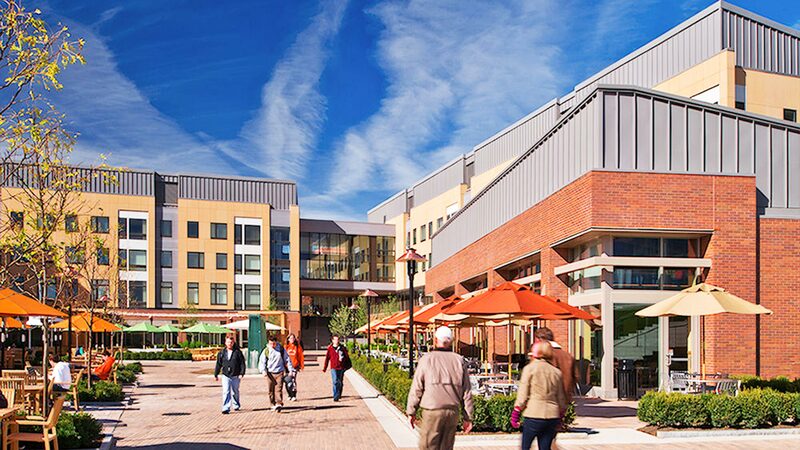 Open to both the public and RIT community, the 200,000 square foot facility combines student living with dining, shopping, learning, and event spaces to create a unified and modern community. 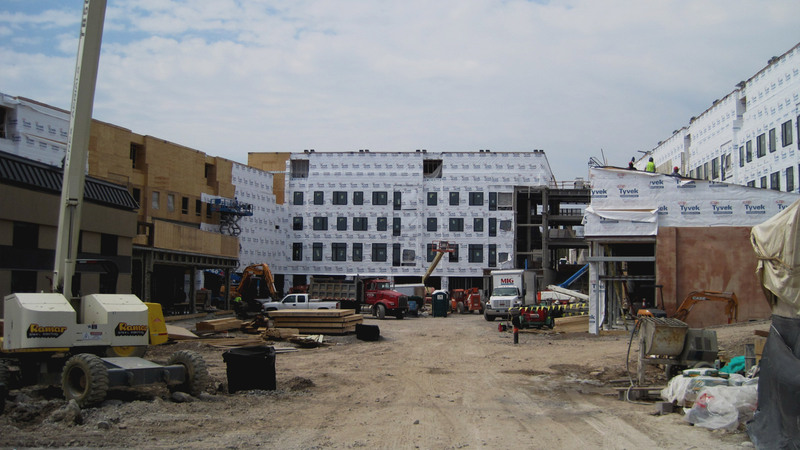 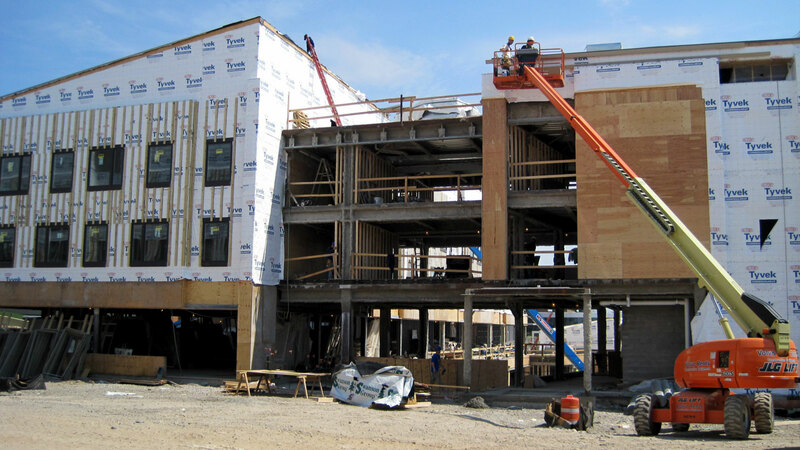 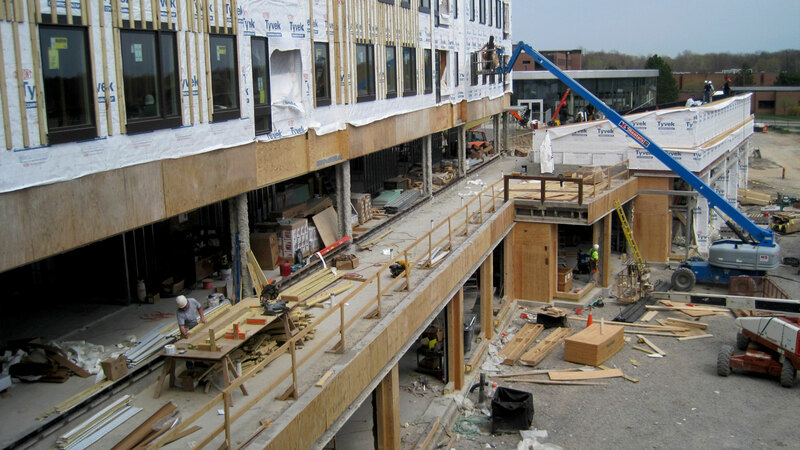 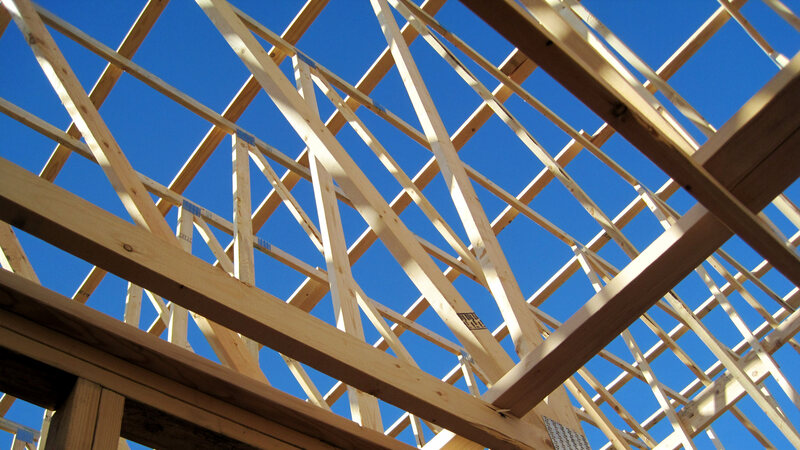 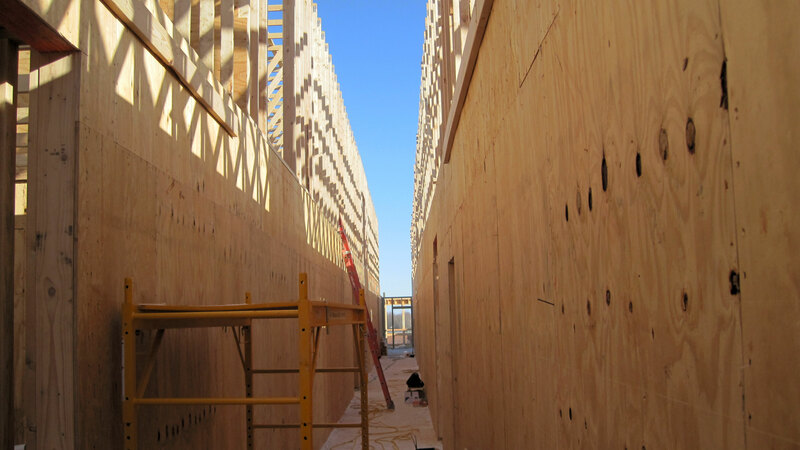 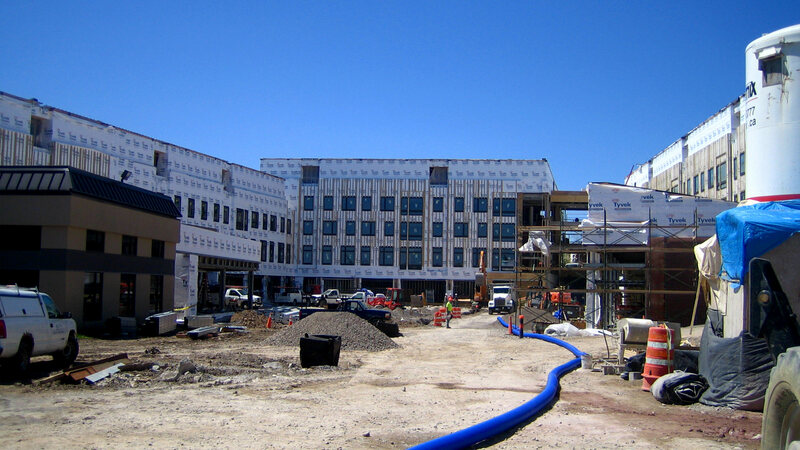 In response to the differing occupancies, timber joists and bearing walls complete the upper residential units, supported by a lower steel frame allowing an open floor plan and continuous flow.